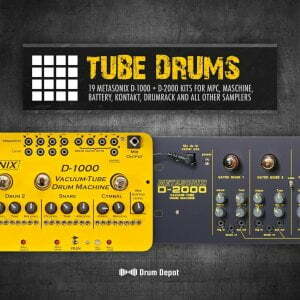 The post Drum Depot Tube Drums & FREE Vermona DRM1 sample pack released appeared first on rekkerd.org. “Putting this unusual tube-based low pass gate through its paces, including comparing it to “ordinary” low pass gates and showing where to find it sweet spots. In short, this module sounds different than any other LPG I’ve worked with, and adds a deep thump to a lot of sounds – even stronger than you can hear on this compressed video. “The SynthSummitShow is a Live streaming Interview show by sound designer Ken Flux Pierce for FluxWithIt.com where he interviews Both Industry legends and upcoming creators of the musical gear that shapes the way we create. “This listing is for a Metasonix synth rig, fully loaded with Metasonix modules and a rare Monorocket High-Power case in yellow. Only featured on the site once before back in 2011.